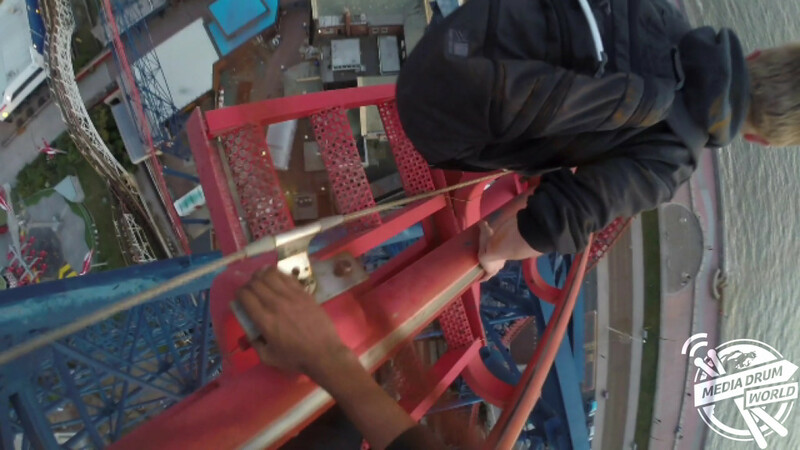 A TERRIFYING video shows teenage students taking their lives into their hands by scaling two-hundred and thirteen-feet to the top of the UK’s tallest rollercoaster without safety equipment. 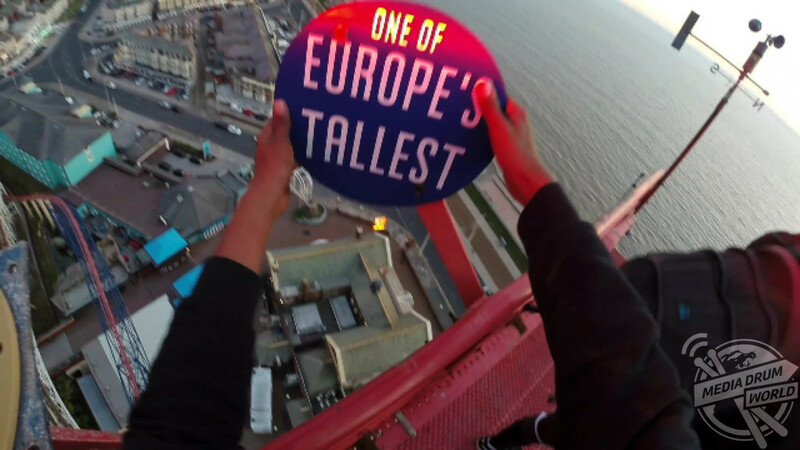 The amazing footage shows London-born student Usama Quraishi, 17, and three of his friends scaling ‘The Big One’ in Blackpool, Lancashire after the rollercoaster was closed for the day at Blackpool Pleasure beach. 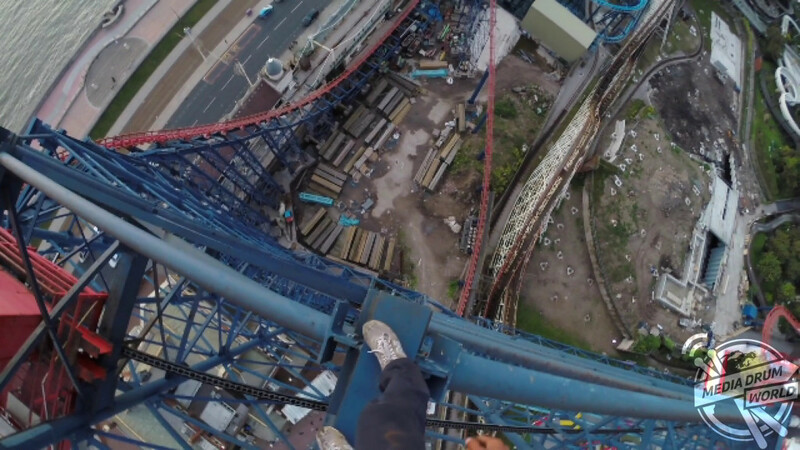 The four teenagers can be seen taking in the views from the top of 213ft high rollercoaster, before Usama walks out along one of the beams, leaving nothing between him and the ground except a single four-inch wide steel beam. Eventually the group had to flee the scene after they were spotted from the ground, with police arriving shortly afterwards to apprehend some of the boys, though Usama managed to escape. And he says the idea of climbing the rollercoaster only came to him and his friends after the discovered it was the tallest in the UK. 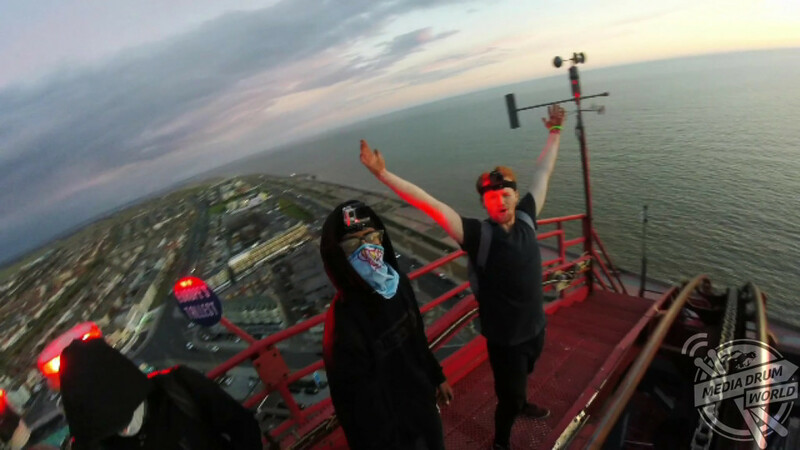 “We went to Blackpool to train parkour and just to chill at the seafront,” he said. “Our aim wasn’t to climb anything, but the idea came about when we heard Blackpool had the tallest rollercoaster in the UK. 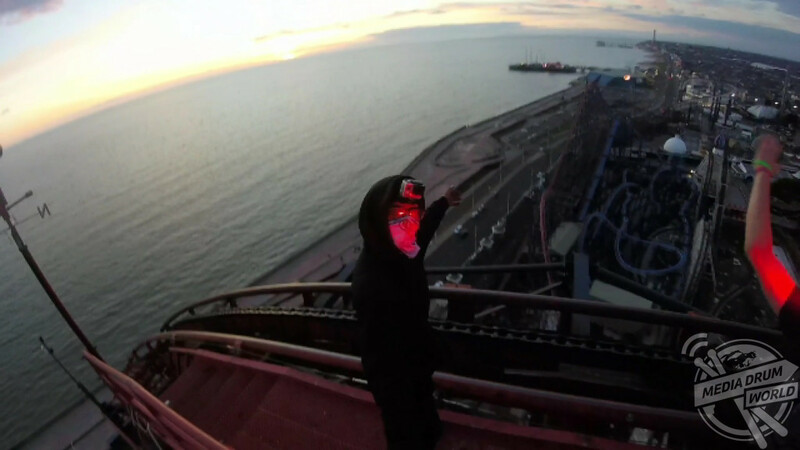 This was the only time we could really come to Blackpool, so we took our chance and climbed it while it was not active. “The security was not tight at all. We scouted the site and saw a few figures inside, and we did see the ‘Security dogs on patrol’ sign. 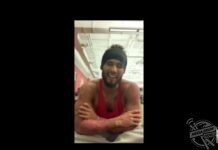 Usama says that he and his friends, who were given a warning by the police and told they would be liable should they fall and injure themselves, have been doing stunts like for years now. And he says that, because of his experience, he wasn’t really concerned for his safety. “There wasn’t really anything that concerned me at all, we are all trained and have done this plenty of times. 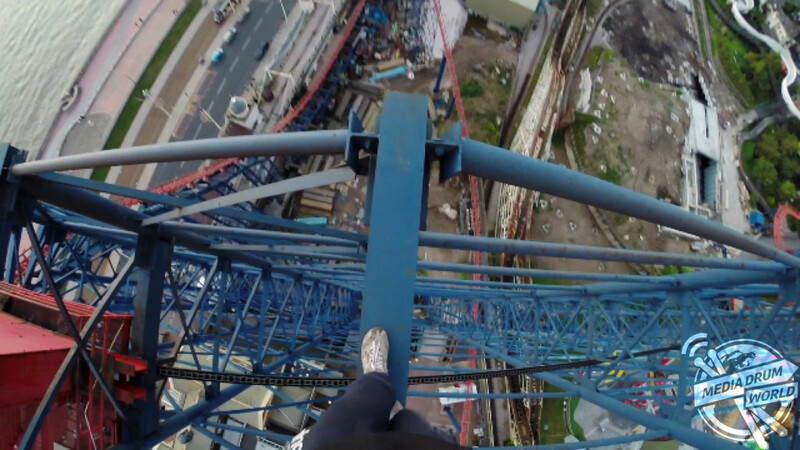 I’ve climbed a crane three times the height of the rollercoaster,” he said. “It was really fun and enjoyable, especially seeing the reactions from the public below us. “The activity is just about gaining new experiences and exploring new places. It is very intriguing and sometimes you don’t know what to expect so you just let your curiosity and instinct feeling take over. 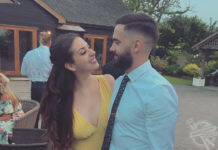 “I just like to make videos to look back on when i get older. I’ll probably never go to Blackpool again, so that is my memory. Obviously as the video has reached a ton of people, there may be some individuals that will want to re-enact this. “I don’t recommend this as the site have probably up’d their security. Blackpool pleasure beach do have a programme where you can go up there with safety equipment which may be a better and of course safer shout. Usama says that he and his friends haven’t got any real plans to climb iconic landmarks in the future, but that he wouldn’t rule it out if there was a good opportunity. “Regarding future plans, I don’t really plan in advance, but if I see something and think it would make a fun climb, I’ll do it. When I get older I hope to leave the city and go on to rock climbing and mountains.